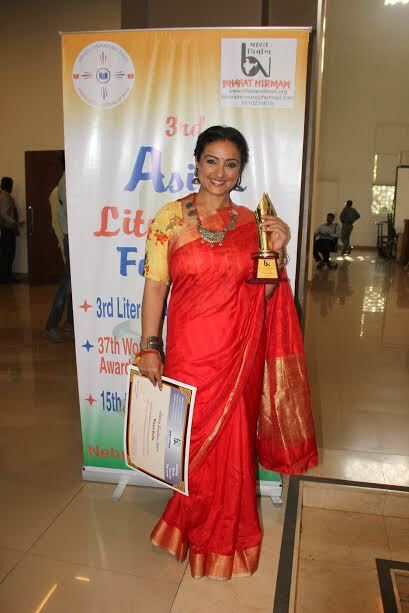 Divya Dutta Won Literary Excellence Award. Divya Dutta has been receiving a lot of praise and love for her book ‘Me and Ma’ and she feels like she’s on top of the world. From appreciation from her industry friends to love and warmth from her fans, Divya is enjoying every bit of the success of her book. Yesterday, on April 23rd, Divya was felicitated with the ‘Literary Excellence Award’ for her book ‘Me and Ma’. Divya has penned down all the special moments and instances she shared with her mother who she still holds very close to her heart. The award only goes on to show how well the book is doing and how talented Divya is in whatever she does.